Bite-size chicken pieces marinated in fragrant oriental spices. Kaweka&apos;s Thai Chicken recipe contains tender, bite-size pieces of chicken marinated in fragrant oriental spices before they are cooked to perfection in an authentic Thai curry sauce. The flavour profiles of Thai curries are quite different from their Indian counterparts. The essence of Thai cuisine is contrast as well as harmony and our Thai Chicken amplifies this well. Thai food typically includes sweet, sour, spicy, and salty to achieve a balance - no one flavour ever supersedes the other. Also, Thai cooking typically uses fresh herbs whereas Indian curries tend to use more dried herbs and spices. This recipe is our newest creation and it&apos;s already a firm favourite amongst the team. It&apos;s a medium-heat dish - not super-hot - so we&apos;re betting it will be a popular choice for you too! 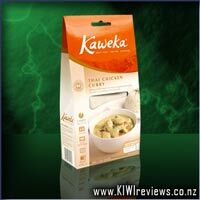 Like all Kaweka meals, our Thai Chicken contains no additives, preservatives, artificial colours or flavours. 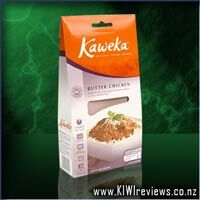 It&apos;s low in carbohydrates and we use only tender NZ chicken. 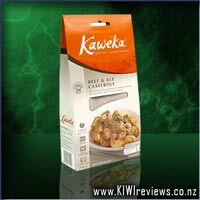 Once again yet another wonderful sampling from the crowd at Kaweka foods. Whilst this is not as hot as some of their other offerings like the Butter Chicken this is still a very tasty dish, and once again the chicken is of premium quality, and the sauce is absolutely devine. 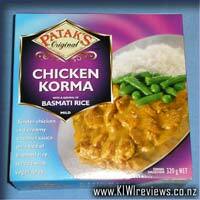 I cannot recommend this enough to any curry lovers out there, this is just wonderful. 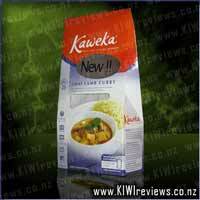 The Thai Chicken Curry was by far my favourite flavour from Kaweka. It was absolutely stunning - flavourful, loads of chicken, delicious coconut smell and flavour. Fantastic! Even if Thai is not a favourite, I would thoroughly recommend this dish. Whilst it says medium heat, I didn't particularly find it that hot. Mind you I avoided the whole peppercorns! 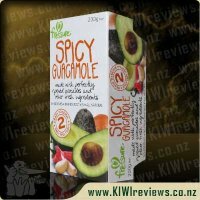 I didn't actually prepare this flavour so I didn't get to experiment, just had it over rice. And it was perfect just like that - no additions required. 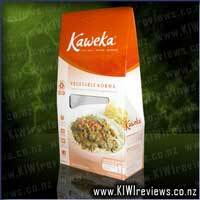 By far my favourite of the Kaweka range this one really surprised me. I am not a fan of thai food really, usually it's too sharp a flavour, but this was nice and creamy, with plenty of zing without being too much for us Kiwis with bland tastebuds. 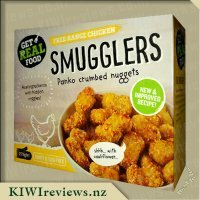 Taking inspiration from some of the other reviewers' comments on this, and other, Kaweka flavours, I cooked up a packet of finely-broken chicken-flavoured 2-minute noodles, and because I really enjoy my veges, I also threw in a handful of frozen mixed veges. When they were ready I stirred in the heated curry, and sprinkled some finedly chopped spring onion over the top. It was a really simple, very quick but utterly delicious meal for two. 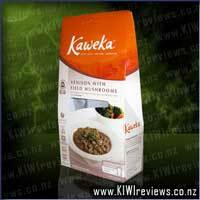 Well done Kaweka, this is a winner! I opened the pouch as per the instructions and microwaved it for 2 minutes. When I took it out, it seemed to need a bit longer so another 30 seconds and it was perfect. I took it out and poured it into a bowl. First impressions were it smelt great, looked great with plenty of chicken and pieces of lime leaf...very authentic. It tasted delicious too. The chicken was tender and flavoursome, and the sauce was very tasty and the ingredients were definitely quality. 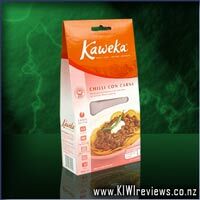 I am not a great fan of hot curries, so was a bit nervous about the heat of this product. The box says the heat of the curry is 'medium', but I would definitely say it is more mild - just perfect in fact. Serving size, I ate mine without any rice and it was just enough. Add rice and I think it would be a filling meal for two. Value for money - the quality of the ingredients is superb, but I feel $6.99 is a little steep for this product. 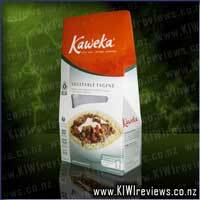 Perhaps adding a sachet of cooked rice which just needs to be heated would improve the value for money. Overall, I think this is a great product and I would purchase it again. After a few bad experiences with Thai, I admit to being not much of a fan of Thai cuisine... the majority I have tried have been quite watery and weak as sauces. I think that's why Italian dishes have always appealed more, being more meaty, thick and textured. 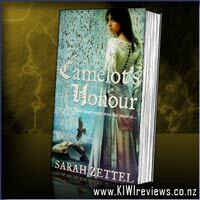 But, in the spirit of being a fair reviewer, I had to put aside my personal history, and give this a try... and I am so glad I did! 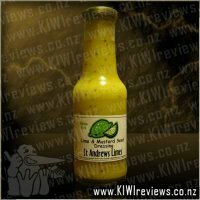 The sauce itself it delightfully full-bodied, having neither a watery soup-like consistancy, nor a sharp flavour harsh on the tastebuds. So far, this isn't half as unpleasant as I first feared. 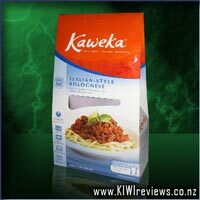 After an interesting discussion with one of the head honchos at Kaweka, I decided to explore some other combinations of this product with 'accessory' foods... so instead of the usual rice, I opted instead to try it with pasta... oh wow, that was a smart idea. It took me a mere 4 minutes to boil up a double-handful of mini pasta elbows, and the Thai Chook as well, a further 1 minute stand-down after nuking, and I was ready to assemble the meal. A decent bowl, drain the pasta well, pour it in... add a couple of small knobs of butter, then pour over the Thai Chicken carefully. The heat of the pasta and curry melts the butter, and when you see the tell-tale clear oils rising to the surface, grab a fork and stir it all together. As I took my first mouthful, I was immediately struck by the full flavour of the Thai spices, and the authentic taste range. This is not some adaptation of authentic tastes, it's the real deal. With all the positive aspects from the Thai food I have tried in the past, but made in such a way that appealed to me far more, it quite struck me as the best Thai cuisine I have ever tried. Overall, though it hasn't suddenly converted me to being a die-hard fan of Thai, it has done a lot to convince me that the flavours are well within the limits of what I find tasty and pleasurable to eat. This, in itself, is a meaningful thing from my perspective. Another aspect of these delicious heat'n'eat meals, is that because you aren't spending large amounts of time preparing the food, you can devote a bit more time to the presentation and alternative serving suggestions. The quality of the food is assured, even *I* couldn't ruin it, so now you have the freedom to work on the more esthetic components that mark the difference between mere 'food' and 'a meal'. 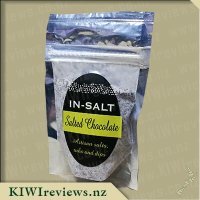 Milled sugar combined with organic flaky sea salt and dark Ghana chocolate. Mix through whipped cream, Creme Fraiche or mascarpone, add your fav tipple and dip with seasonal fruit. 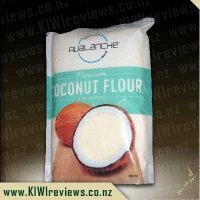 Perfect to use as a topping over ice cream, cheesecakes, pancakes, muffins, iced chocolate or coffee.